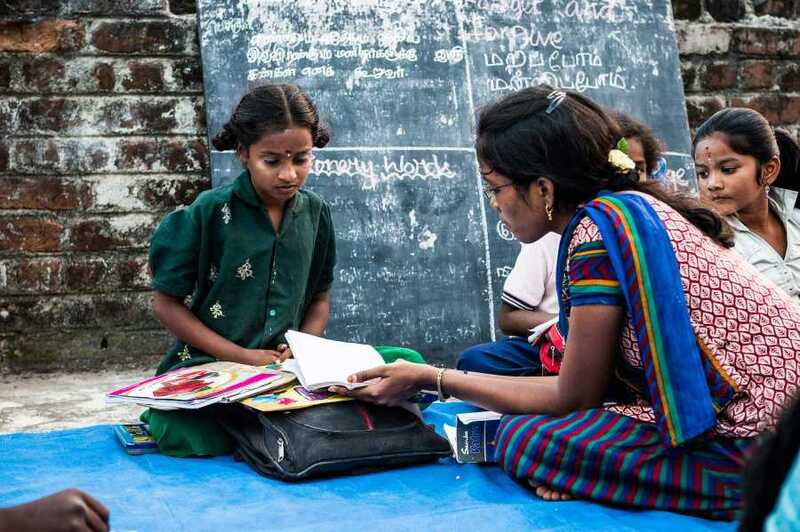 Children living in the slum areas of Tiruvannamalai and surrounding villages have little hope for becoming educated and breaking out of poverty. Schools are inadequate and most children go home to parents who are uneducated and unmotivated to support their children’s education. To provide children with a place to go after school to complete their homework, receive extra help from qualified teachers, and motivation to stay in school and reach their potential. There are 5 evening schools located in Paliyapattu village, Vengikkal village, VOC Nagar, Adhisheshan Nagar and Bavaji Nagar. Regenboog also provides teachers to the Government Forest department schools in Puliyur, Vilamuchi, Kovilur and Kallathur villages located in Jawadhu Hills region. So far all students involved in the Evening Schools have stayed in school through standard 10 and some have started University. The Evening Schools have already succeeded in building the confidence of students to achieve and be productive citizens. Parents of children attending the Evening Schools have reported that their children are not only doing better in school, they are also more curtious and respectful at home. 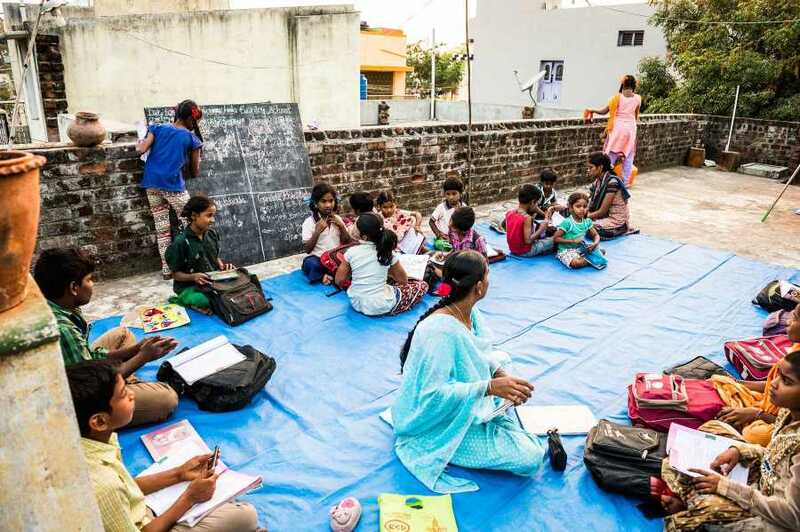 Regenboog’s simple yet highly effective solution to helping children living in slum areas has been the development of eight evening schools that now provide encouragement and educational support to over 700 children. The children meet Monday through Saturday after school from 17:30 to 20:30 in locations that are easily accessible. They are divided into age groups and each group has their own teacher who asks them about their day, whether they are any problems understanding the lessons that were taught at school that day, and whether they have homework. Most of the children’s parents work as a daily laborers and don’t spend much time with their kids. So when teachers ask them these questions, they feel happy, appreciated and motivated. After checking in with the children, the teachers help children complete their homework and understand their lessons. Equally important as their schoolwork, children are taught to care for others, to be responsible citizens, and to believe in themselves and in their abilitiy to create positive futures. 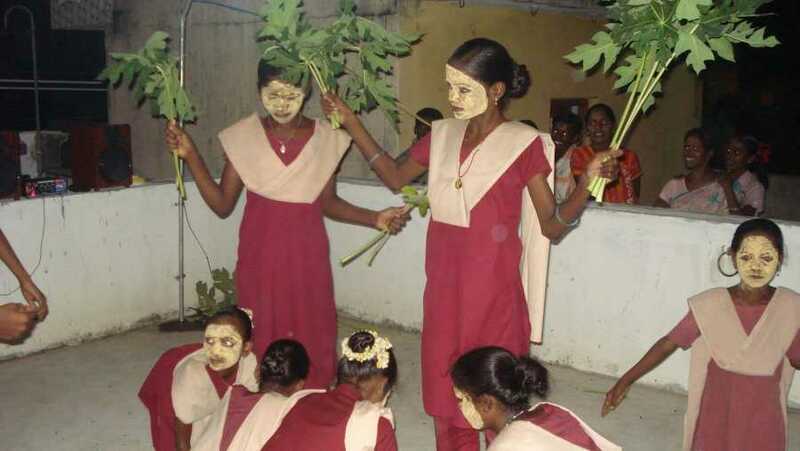 Also the children are given opportunites to learn crafts, and to expose their skills to the outside world by performing special events at their evening schools for public.